Diagnosing Urinary Tract Infections in older adults - Can we take the sting out of it? 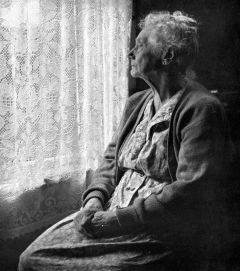 The nursing home calls: “Doctor, we need you to take a look at Mrs X. She’s more muddled than usual… ” So I visit her at home after my morning GP surgery. I know that Mrs X has dementia and is normally a bit confused, but this has been worse over the past two days. Mrs X doesn’t report any particular symptoms. I open my doctor’s bag and grab a thermometer; her temperature is normal. When I dipstick her urine there are no obvious signs of infection. At the end of it all I am left scratching my head and wondering, does Mrs X have a urinary tract infection? Or is she just having an off day? For a variety of reasons, older people are more susceptible to infections caused by bacteria, such as urinary tract infections (UTIs). Older adults with UTIs can become very unwell if the diagnosis is not made promptly and appropriate treatment is not started quickly. But unlike younger people, they can present in an atypical fashion when they have a UTI (van Duin D. Diagnostic challenges and opportunities in older adults with infectious diseases. Clin Infect Dis. 2012 Apr;54(7):973-8. ), which can make it hard to make the diagnosis. For example, they may not experience pain when they pass urine. There is a lack of authoritative guidance to help clinicians in the community to diagnose UTIs in older adults (https://www.sign.ac.uk/sign-88-management-of-suspected-bacterial-urinary-tract-infection-in-adults.html). Along with colleagues at the Nuffield Department of Primary Care Health Sciences, Oxford (https://www.phc.ox.ac.uk/), I therefore decided to systematically review the research that had been performed in this area. We wanted to see whether the findings of existing research could help doctors in the community to diagnose older adults with UTIs more accurately. We searched the literature for observational studies (cohort and cross-sectional) assessing symptoms and signs that predict UTIs in older adults in the community. These studies had to provide a reference standard for diagnosing UTIs, and provide enough data for us to construct 2 by 2 contingency tables for calculation of diagnostic accuracy measures (such as sensitivity and specificity). The burning question - what did we find? We ended up with 15 studies in the review that assessed the accuracy of 66 different symptoms and signs in predicting UTIs in older adults. Nine of the studies were conducted in Europe and the remaining six were North American studies. The studies were conducted in different locations, such as nursing homes, residential care facilities and participants’ homes. The quality of the included studies was variable. We found that a number of symptoms and signs traditionally associated with UTI, such as getting up at night to pass urine (nocturia) and having a sudden urge to pass urine (urgency), were of limited use in older adults. This was also the case for abnormal vital signs; having a fever, a high pulse or a low blood pressure, did not help to make the diagnosis of a UTI in older adults. Some symptoms seemed to show gender-specific differences. For example, incontinence, malodorous urine and blood in the urine were all predictors of UTIs in older men, but not in older women. Interestingly, inability to perform a number of acts of daily living (such as disability in feeding oneself) were strong predictors of UTI in older adults. A spanner in the waterworks? Whilst we were able to extract diagnostic accuracy data for a wide range of symptoms and signs, we found that there was a lot of variation in the way that they were described by studies. For example, incontinence was defined in six different ways. As a result, meta-analysis (that is, pooled analysis) was only possible for two symptoms. A number of the included studies were of poor quality, there was a lot of variability between the studies, and few symptoms and signs were assessed by more than one study. All of this together means that our results should be interpreted with caution. So what’s the doctor’s prescription? In order to make firm conclusions about the value of different symptoms and signs in diagnosing UTIs in older adults in the community, we need more well conducted studies in this area. We would also like to see more studies assessing the utility of combinations of symptoms and/or signs in making a diagnosis. It would also be helpful if definitions of symptoms and signs were consistent across studies, or at least reported in full and transparently. This would help us to make meaningful comparisons between studies and to pool results. All of this information could help clinicians in the community to make fast and accurate diagnoses of UTIs in older adults. Gbinigie OA, Ordóñez-Mena JM, Fanshawe TR, Plüddemann A, Heneghan C. Diagnostic value of symptoms and signs for identifying urinary tract infection in older adult outpatients: Systematic review and meta-analysis. Send to J Infect. 2018 Jun 30. pii: S0163-4453(18)30190-7. doi: 10.1016/j.jinf.2018.06.012. Dr Oghenekome Gbinigie; MA (Cantab), MB BChir, MRCGP, DRCOG, DfSRH, PG Cert (Health Research). DPhil student and General practitioner, Nuffield Department for Primary Care Health Sciences, University of Oxford. This work was funded by the Scientific Foundation Board of the Royal College of General Practitioners, the Wellcome Trust and the National Institute for Health Research School for Primary Care Research (NIHR SPCR).